New 'Huckleberry Finn' Will Eliminate Offensive Words : The Two-Way For years, the book has been banned by some schools because of the "N" word. Those publishing the new edition hope this will get the classic story into more young students' hands. 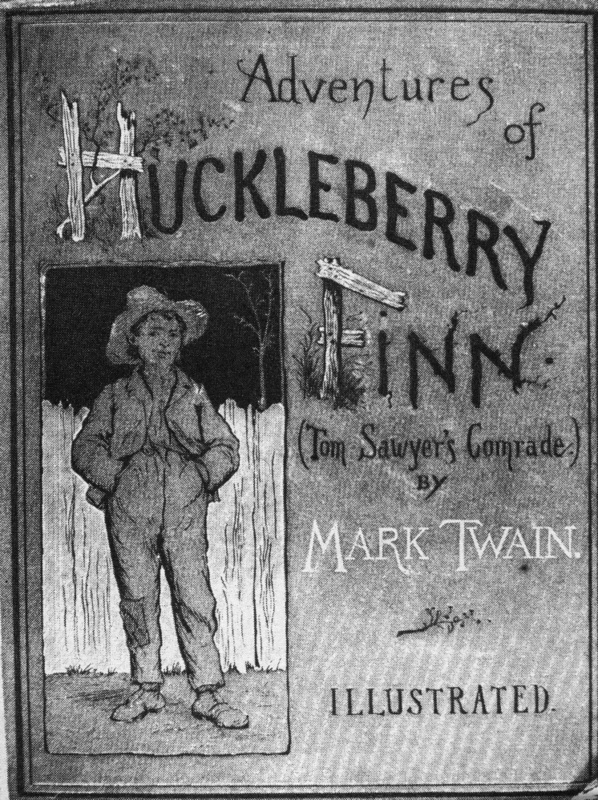 Saying they want to publish a version that won't be banned from some schools because of its language, two scholars are editing Mark Twain's classic Adventures of Huckleberry Finn to eliminate uses of the "N" word and replace it with "slave," Publishers Weekly writes. The edition, from NewSouth Books, will also shorten an offensive reference to Native Americans. Cover of the book 'Adventures of Huckleberry Finn (Tom Sawyer's Comrade)' by Mark Twain (Samuel Clemens), 1884. As PW says, "for decades, [Huckleberry Finn] has been disappearing from grade school curricula across the country, relegated to optional reading lists, or banned outright, appearing again and again on lists of the nation's most challenged books, and all for its repeated use of a single, singularly offensive word." "Learning the 'N' word from Huckleberry Finn taught me not to use it bc it was improper, so.. why the change?" The new edition, PW says, is due to be published by February. Huckleberry Finn was first published in 1884. And please remember, a question like that is not part of a scientific survey of public opinion. It's just a conversation-starter.